Positions in ZoomShift represent the skills or job codes within your organization. For example, a restaurant might have positions like server, bartender, and hostess. For a retail store, positions might be cashier, floor manager, and stocker. This guide covers how to manage positions in ZoomShift. To create or edit positions go to the Settings => Schedule Settings => Positions page. Add a new position by clicking on the New Position button. You should see a pop-up like the one below. Color Color is used to distinguish different shifts and timesheets. Shifts and timesheets have a colored bar on the left side that corresponds to the position’s color. To edit a position, click on it. Update the fields and submit the form. To delete a position, click on it. Then click on the Delete button. Assigning your employees to positions will help to organize your schedule. Learn more about position and location assignments, here. By default, positions are displayed in the order that they are added to ZoomShift. 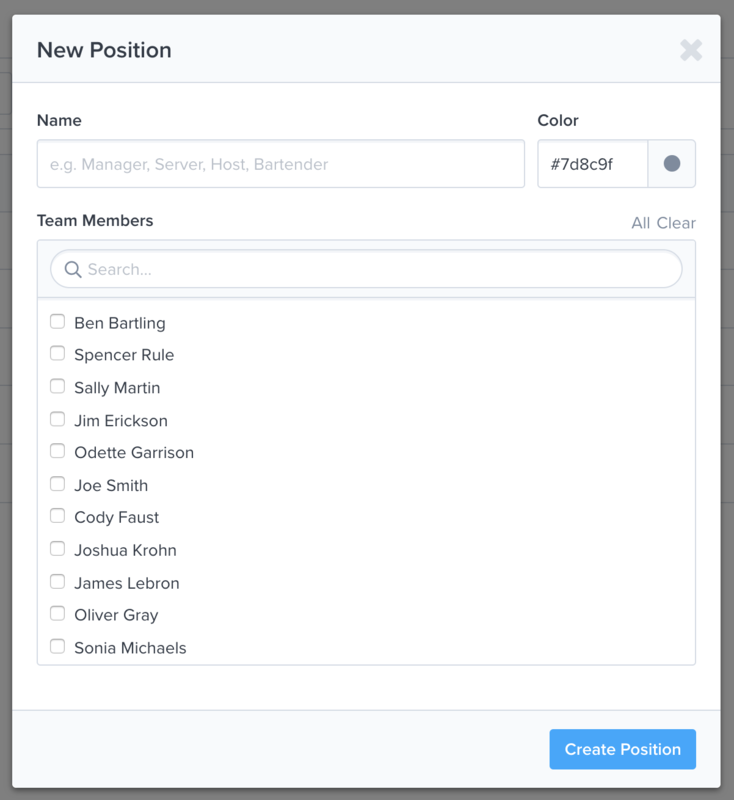 Once saved, you can drag and drop the position in the order you would like. To do this, click and hold down on the position. Without letting go of the mouse, drag and drop the position in place.